Despite the fact that today’s Express & Star reports a row of seemingly monumental proportions at Wolverhampton City Council over the utterly piddling matter of what time their monthly scrutiny board meetings take place (should it be at 5pm or 5.30pm? Who cares, get on with the job! ), presumably all differences were put aside today as the council celebrated ‘World Environment Day’. 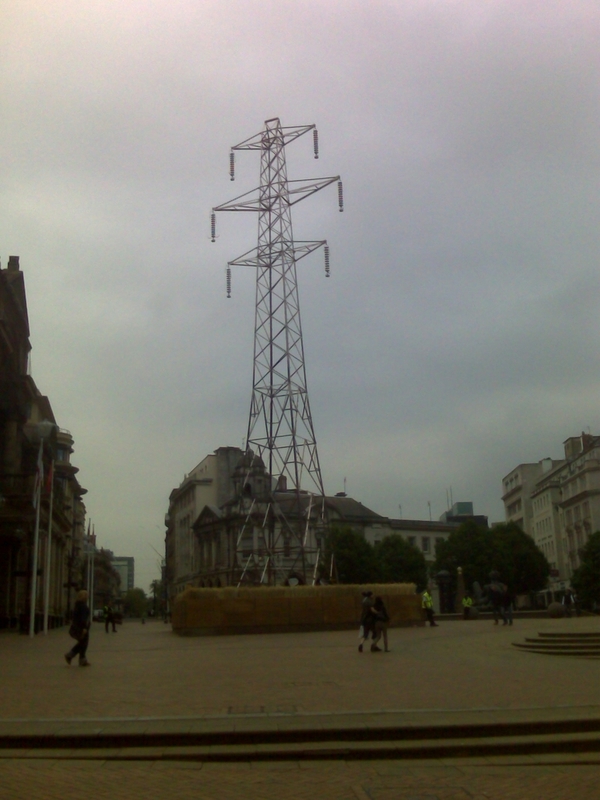 As Birmingham’s own Climate Change Festival rumbles on until 8th June, with it’s hideous ‘artistic’ eyesore of a pylon surrounded by corn – presumably signifying that the council will erect just about anything in Victoria Square if they’re told it will ultimately reflect well upon them – and it’s photography display where such beauteous images as that of the Tylesley Incinerator have been captured for our pleasure and perusal, it was inevitable other local councils would follow suit. 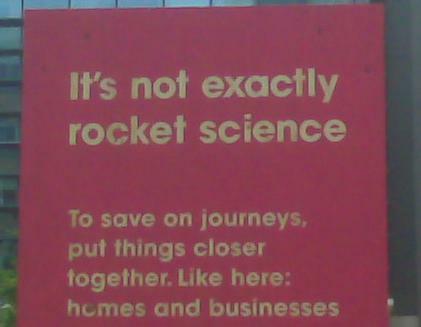 In Wolverhampton the theme is “Kick the CO2 habit”, and you can go there to learn how to cut down on your carbon footprint, as though we aren’t persistently barraged with this sort of information from every possible direction as it is. And then there’s the “freebies” of course. Are you eligible for free home insulation? Would you like a light-bulb, a sapling or a Fair Trade eco-product? Or would you just like the council to stop taking so much of your money so that you can purchase any one of these things yourself, should you want to? The chattering screens around the city centre provide a distraction from the tumbleweed that blows through the rest of the exhibits, all of which seem to pack up long before anyone with a job might have chance to go along and see them. For some reason there’s a rather old looking helter-skelter in Centenary Square, and next to that, a double-glazing sales trailer. It all looks pretty paltry, and yet the slick website to accompany it serves as an indicator of just how much this has cost. That and the fact there are no less than four council security staff guarding the ugly pylon 24 hours a day. And what are the palpable benefits? Just how do we measure the success of such an event? Will be ever know if the residents of Wolverhampton or Birmingham become any greener for their free saplings and helter skelter? Of course not. No-one is saying that environmental concerns should be dismissed, but the money that has been pumped into these events could no doubt have gone towards the same cause and been put to much more practical use. 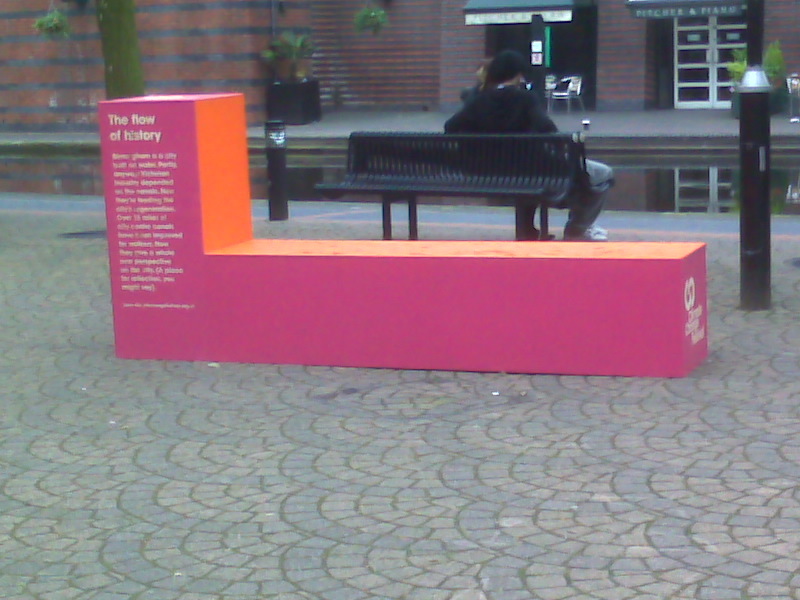 At least Wolverhampton’s token event only lasted a day, Birmingham’s run is from 31st May – 8th June, and has been problematic from the start, coming under fire after they wrongly claimed they were hosting the world’s first Climate Change Festival. Too long, too costly and typifying Birmingham’s obsession with having a ‘first’ or a ‘quirk’ to brag about in their self-congratulatory publications (wasn’t it going to be the world’s first technology festival at one point? 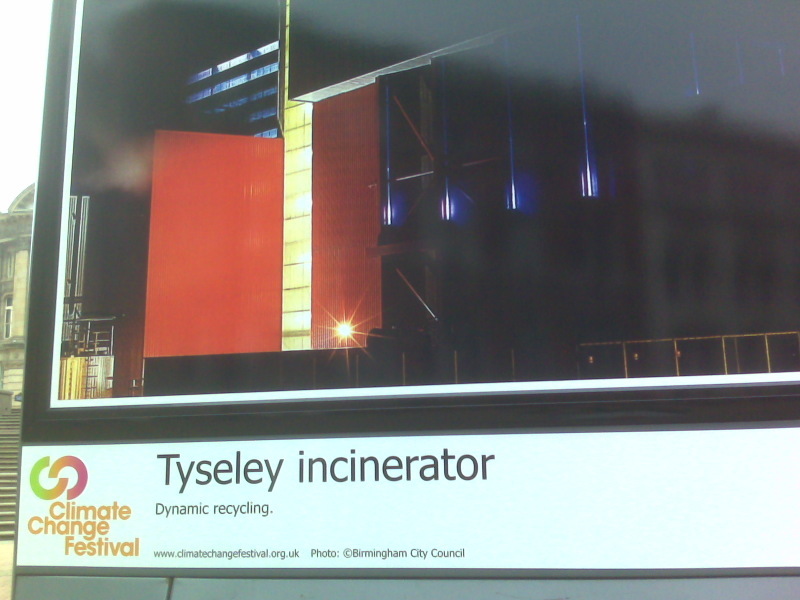 ), after nine days of ‘modelling our image of Birmingham’s future in clay’, leaving our messages on video in the ‘Green Diary Room’ and ‘pledging’ to cut our carbon footprint, we can only really wonder just how we’re any better off?